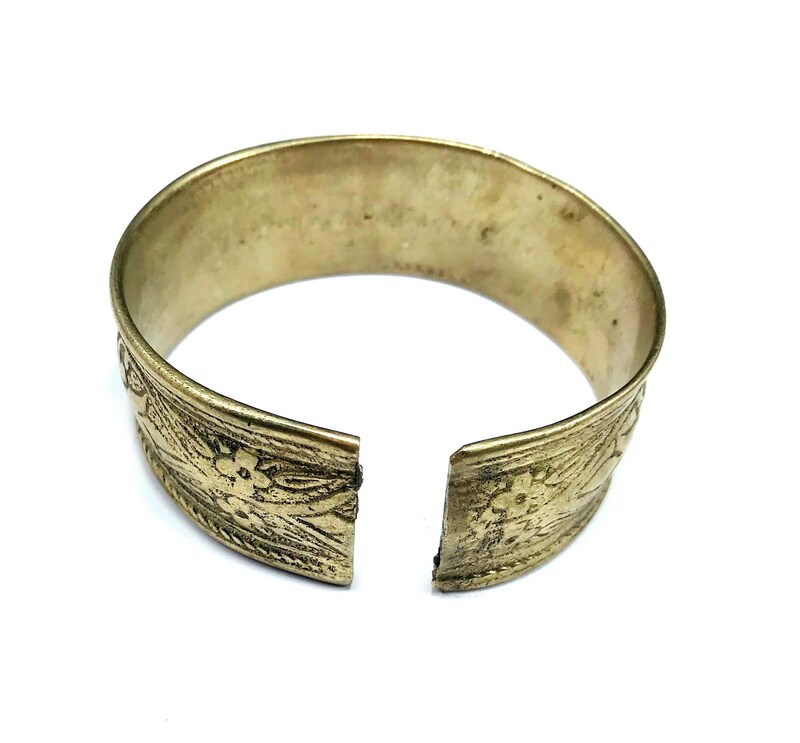 Stylish, vintage Afghan cuff bracelet in silver tone mixed metal. 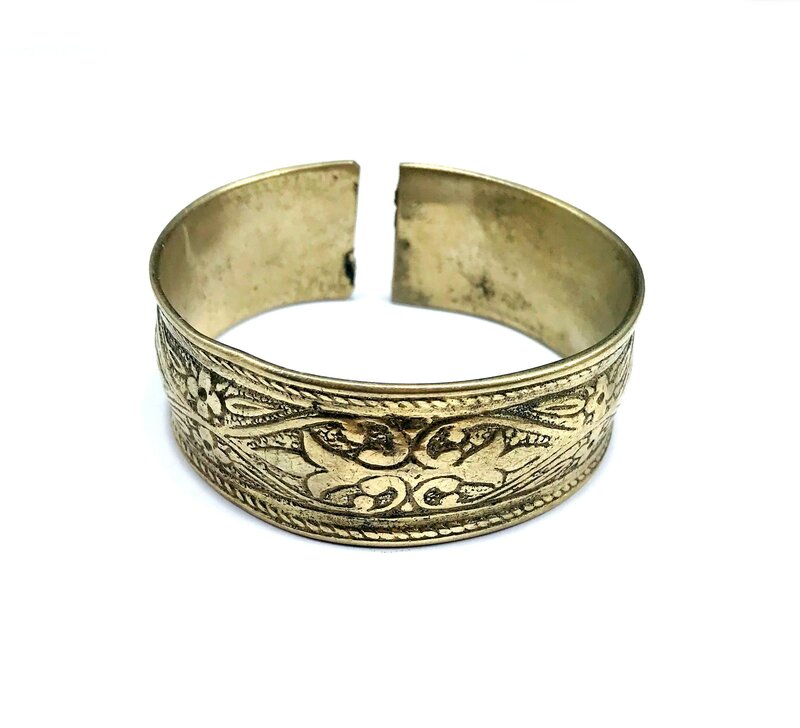 Piece is very solid metal, with little flexibility and would best fit an x-small to small wrist. 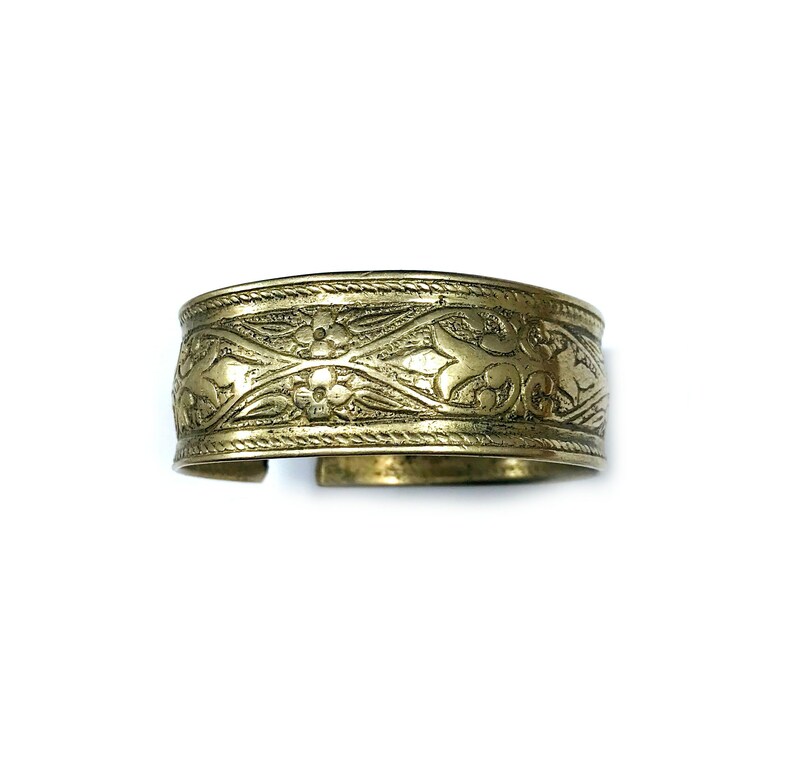 It shows signs of wear/age, but has been thoroughly cleaned.